There are many methods to get it from an amplifier or Wi-Fi signal repeater, buy an external Wi-Fi antenna, or change your provider’s router to a more powerful. There are also homemade solutions to improve the intensity of the wireless connection, such as using a beer can or a cooking pot. Of all the wireless devices involved in one way or another in your Wi-Fi network, possibly the most important is the router. It is responsible not only for redirecting the traffic of the different wireless devices connected, but also optimizing Wi-Fi connections to offer the best speed, coverage, and stability possible to your Wi-Fi network. Unfortunately, the routers that most of the ISP operators supply, despite being sufficient to establish a basic Wi-Fi network, are not the ideal component to get a Wi-Fi network with the best conditions of quality and coverage. It refers to the power with which the router transmits the signal, in essence, and by default, the routers operate at 100% power. Power can be controlled, reduced, by causes of interference beyond the boundaries of the office or home. The wireless signal emitted by the router loses intensity with distance and when encountered certain materials common in the construction of some houses, therefore, the greater the distance between the computer or portable device and router, the less coverage and the access speed will be reduced. A common practice in many homes is to place the router in the place of the house where it is best for the company technician to install your Internet connection. But, perhaps, this is not the ideal location to provide the best coverage for your home. Keep your router away from interference. Some users try to disguise the presence of the router by hiding it inside furniture or behind other electronic devices. Bad error. As we have already mentioned, the wireless signal that emits your router is susceptible to lose intensity when it is with some elements present in the construction of your house, but also with other type of barriers like the electromagnetic interferences that produce devices like the furnaces microwaves, the bases of cordless telephones or other electronic devices. WMM sets priorities for traffic according to four categories of access: voice, video, best effort, and background. Enabling WMM can help control latency and jitter when streaming media over a wireless connection. 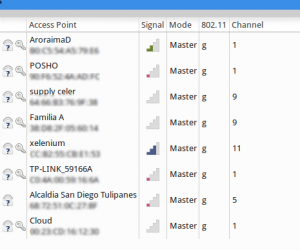 Another common problem is that in many cases the low speed or the cuts in the connection, have nothing to do with the range of signal coverage or the quality of the components of your router, so the methods to improve the Intensity Wi-Fi commented are not much use. The 802.11 group works in 2.4 GHz bands, among others. This band consists of a number of channels. There are regulations to the channels allowed by each country, maximum power, and ranges within these frequencies.